i love flannel shirts. i usually wear them to sleep in (so comfortable), but this one of my boyfriends deserved to be worn out of the house. he was going to throw it away (!) until i commandeered it for myself, the colours are so autumnal! and of course i had to wear it with my current favourite skirt. i'm so glad you guys loved the polka dot trousers from my last post as much as i do! This is a stunning outfit! 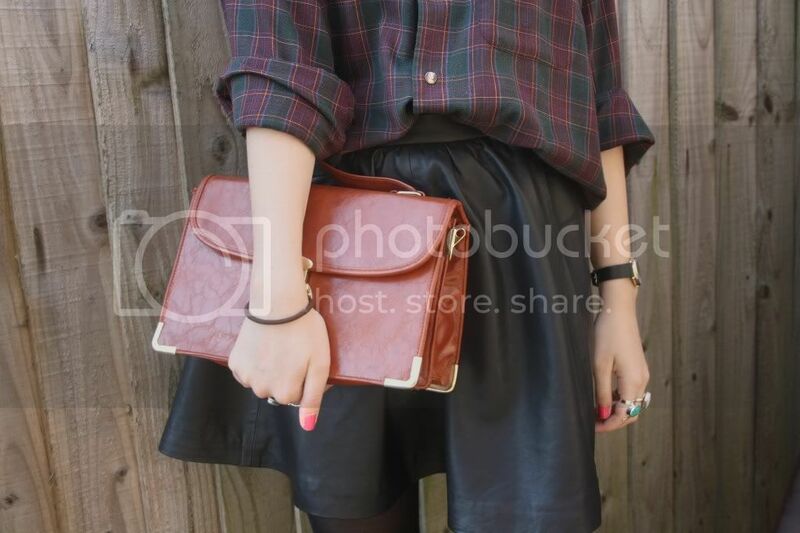 Love the leather and plaid together! 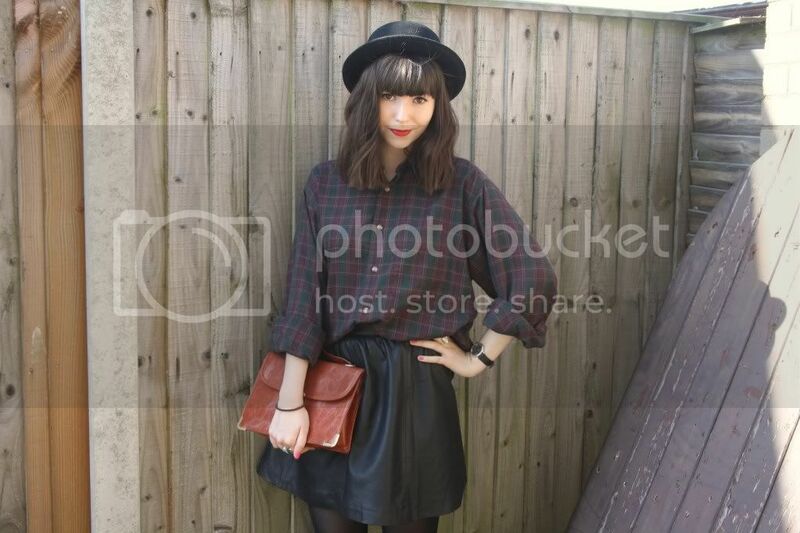 I own the same leather pleated skirt...adore how you styled it with the plaid blouse! This look is really great, I love the shirt and the bag. Really love the shirt on you! I Love how you've styled it with leather! Oh..i totally love this combination! I'm a flannel-shirt lover and I constantly borrow from the boyfriend as well. Lucky you saved this piece from being disowned! The autumn shades of that flannel shirt really suit you. Love how you have paired it with the H&M leather skirt. Great look. 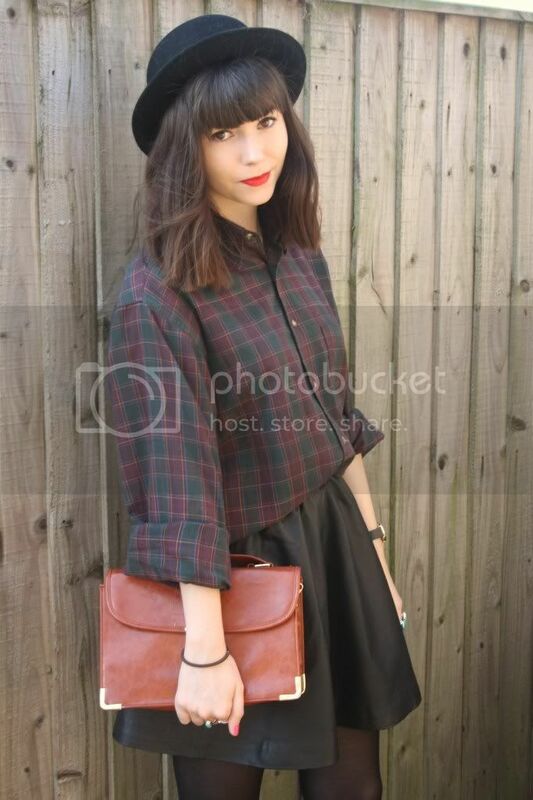 i love that top, its the perfect plaid! your boy has some good taste. that shirt is really cute, I cant believe he was going to throw it out.